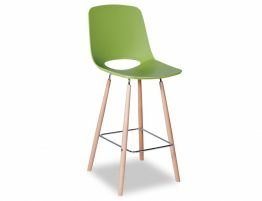 Get the fresh, contemporary look of this contemporary green kitchen chair for your space be it your kitchen, casual dining area of café or restaurant. 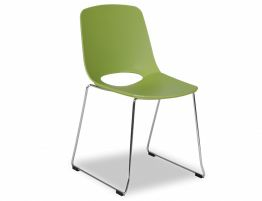 In green, the Wasowsky mod dining chair offers a clean, spare modern style that is a great fit for your upscale kitchen dining chairs or casual, comfortable dining room. 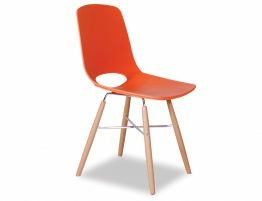 With a tip of the hat to the midcentury modern Eames Eiffel chairs, the Wasosky chair from Spanish designers Enrique Del Amo and Angel Marti offers an ideal pairing of the Midcentury modern and today’s furniture. 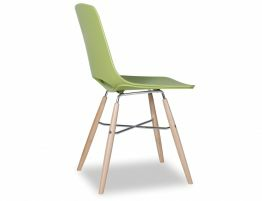 This green dining chair has a soft molded polymer seat and back that cradle the body’s, beechwood legs and chromed steel bracing. 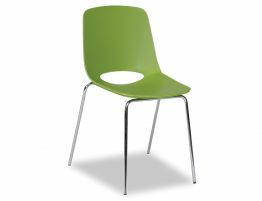 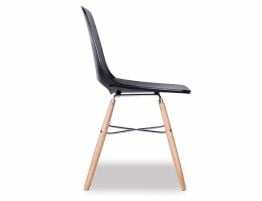 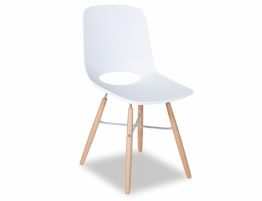 Whether you are in search of green kitchen chairs for your refined, contemporary kitchen or commercial dining chairs for your café, this contemporary green dining chair offers a fresh, modern look and high end design for your spaces.